Edward and I will head home later today from High Point Market. But, before we leave, we will stop at Oly Studio, Eco Luxury, Max Home, MaxTrix for Kids, Gat Creek and Vanguard (maybe). 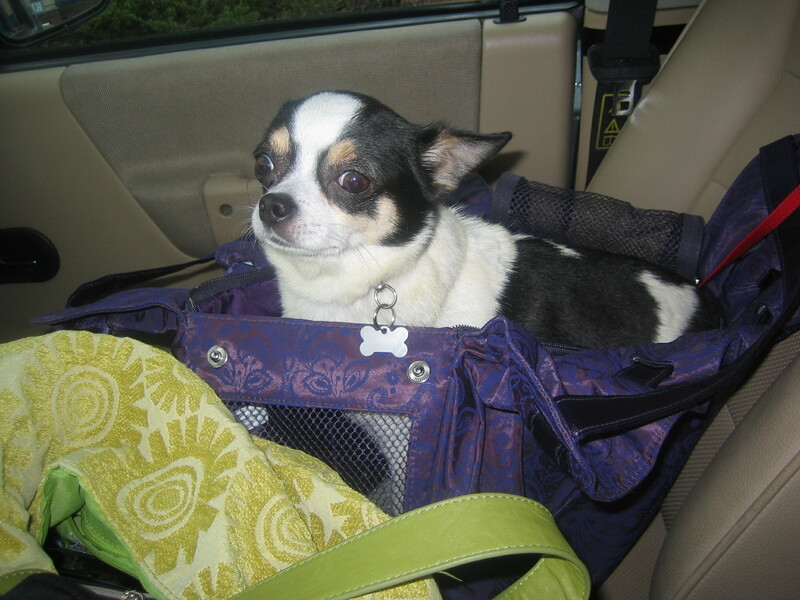 Here is a photo of little Edward going on a short drive with me while at market. I was getting him used to his carrier in case I need to take him out in it sometime. His leash was tethered to the seat for his safety. As you can see from the look in his eyes, he wasn’t too thrilled. But, overall, he is getting more and more used to new experiences. I believe he was a breeders dog and lived in a cage for the last 3 years until Lucky Dog rescued him. He needs a lot of work to become more socialized, but he is making great progress. ← Turquoise Trend Is Real!